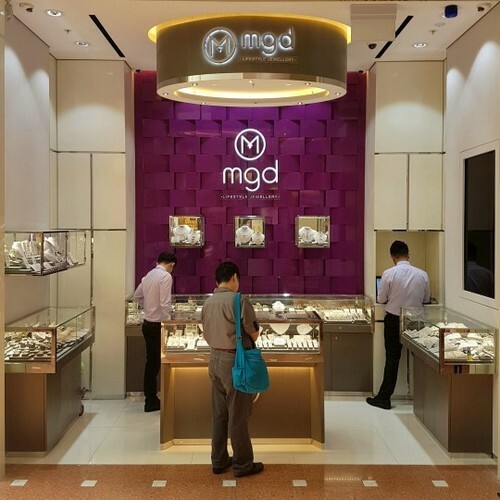 Indian jewellery retailer Malabar Gold & Diamonds has three locations in Singapore, including a lifestyle jewellery shop within Jurong Point mall (1 Jurong West Central 2). Established in 1993 in Kozhikode, Kerala, India, Malabar Gold & Diamonds is today one of the leading jewellery retailers globally. Visiting one of their stores, you can purchase gold jewellery, diamond jewellery, precious jewellery, uncut jewellery, platinum jewellery, silver jewellery, and silver articles. The stores offer a range of related services, including gold polishing, diamond replacements, as well as gold exchange. Of the shops, the Jurong Point Lifestyle Jewellery store is a new retail concept developed by Malabar Gold & Diamonds as a one-stop destination for jewellery lovers, offering never before seen unique designs and styles crafted in 18K gold and certified diamonds at competitive prices. The official, global Facebook brand page for Malabar Gold & Diamonds is located at www.facebook.com/malabargoldanddiamonds/. Following the Facebook page, you’ll get updates about the company’s latest products, their events, promotional offers, and much more.